The multi-platform "BlackBerry Enterprise Solution" will support management and securing of both smartphones and tablets, and is designed for enterprises and government organizations. The features will be added to BlackBerry Enterprise Server through RIM's pending acquisition of ubitexx. RIM said that the new solution is "expected" to allow secure device management for iOS-based devices, as well as hardware running the Google Android mobile operating system. RIM aims to allow management of those devices from a single Web-based console. "The multi-platform BlackBerry Enterprise Solution is designed to address a growing market and respond to requests from enterprise customers who want a secure multi-platform device management solution from a company that already delivers the gold standard for enterprise mobility," said Peter Devenyi, Communications Platform Group VP at RIM. "We recognize the opportunity to continue leading in the enterprise market by providing customers with a common platform to help simplify the management of a variety of mobile devices." RIM said the single web-based console is being designed to provide IT administrators with the ability to distribute software and manage policies, inventory, security and services for BlackBerry devices, as well as other mobile devices. IT administrators will be able to manage devices over-the-air, including activating devices, distributing software and applications, locking or wiping devices, enforcing and resetting device passwords, setting IT policies, and managing optional mobile applications for end users. Certain features, including push technology and firewall access, are expected to remain exclusive to BlackBerry devices because such capabilities are built into the design of a devices operating system. The product is expected to be released later this year. RIM's multi-platform push for BlackBerry Enterprise Server was one of a number of announcements from the company on Monday. Also revealed was the new "BlackBerry Balance" technology that allows use of a smartphone for both work and personal purposes, ensuring privacy of personal content and security of work data. The company also unveiled a new video chat application and announced a Facebook application for its newly launched BlackBerry PlayBook tablet. The playbook launched in April to lukewarm reviews. 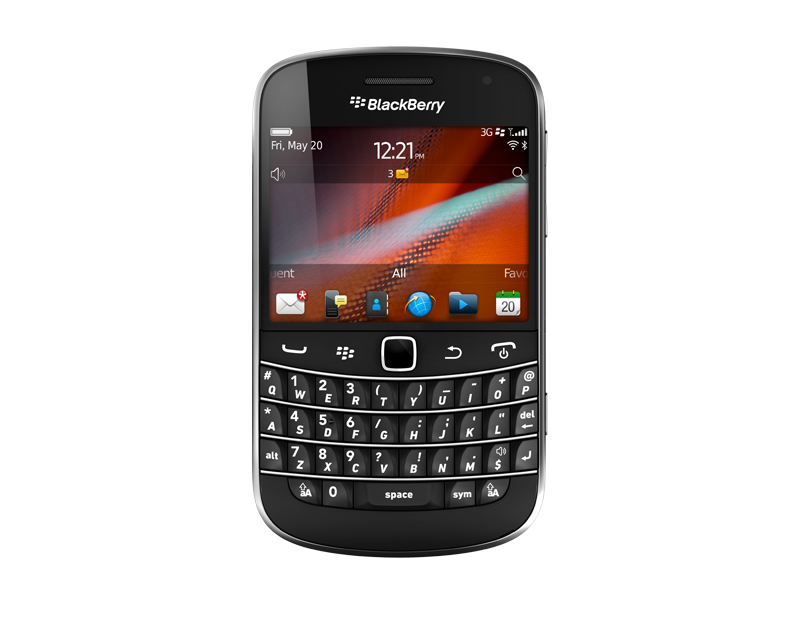 The company also announced the two new phones that run the BlackBerry OS 7 software: The BlackBerry Bold 9900 and 9930. Both feature a 1.2GHz processor and a "Liquid Graphics" touchscreen. The BlackBerry Bold 9900 supports HSPA+ connectivity, while the 9930 supports CDMA EV-DO Rev. A and HSPA+ global roaming on GSM/UMTS networks. Both also feature built-in support for near-field communications, as well as a built-in compass and 720p high-definition video recording capabilities. They will be available this summer. RIM surprised last week with a pre-announcement of its sales for the May quarter. The company opted to disclose its sales early because it expects it to be below guidance. The company also warned investors of impending delays for new BlackBerry product launches. Wall Street reacted negatively to RIM's announcement, and one analyst said that the company's struggles and product delays are an opportunity for Apple to gain a greater lead over its competitor. Last quarter, Apple sold 18.65 million iPhones, a number 38 percent better than the 13.5 million handsets RIM expects to ship in its May quarter.